Since Allan Day and Andreas Nilsson giving me some suggestion and inspirational material these days, I got the new idea to frame up GNOME VI in my head. 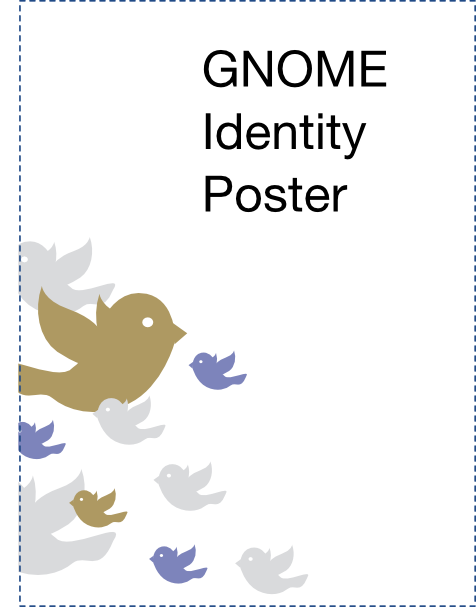 As I get a view from the current GNOME style and trend, I suppose to create a series of “GNOME style” icons to design GNOME’s VI. The idea is to offer a lot of icons with concepts not limited to representation of applications but can be used to form multiple publications, brochures and such like. A similar VI design approach is taken by IBM in their initiative “The Smart Planet”. A few samples are attached. It’s a direction, an idea. i love that twitter icon that transforms into soundcloud’s icon, and the brightness icon looks great too! The freedom Icon with the bird is crappy: resembles twitter way too much. Also, community and usability have too many elements, so they’re not really nice. Less is more! Great work! Only the first two icons, those with the bird and about freedom, are a little bit confusing, because they remind me immediately of the Twitter logo. The third one is not immediately recognizable. The hand sounds more like “click here” to me than “easy”, and is the only one not to be a filled image (but hollow, border-only). “The third one is not immediately recognizable.” => the first “Share” icon (sun) or behind one? Noticed a small problem with the birds beak. A little jaggy at the bottom of the beak where it connects with the head. but certainly you are going to a famous blogger if you are not already 😉 Cheers! i adore which will twitting star which will alterations into soundcloud’s star, combined with lighting star appears to be great much too!